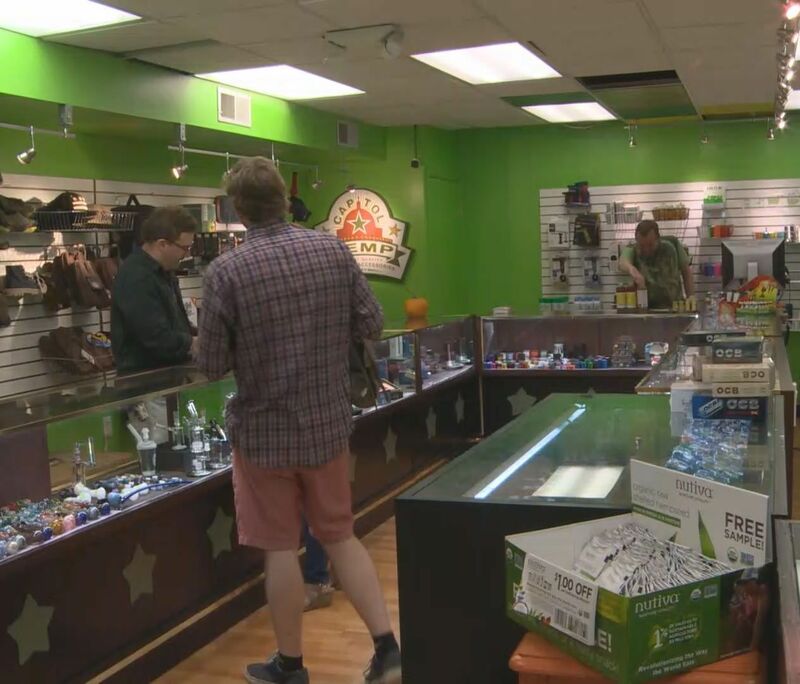 "It's a traditional head shop, but with a very friendly cannabis approach. And typically these stores would shy away from their cannabis connection because it would be illegal to sell a pipe for marijuana. But now, you can come in and say 'I'm using this pipe for marijuana' and it's not against the law, which is the big deal here today for us," Eidinger said. In addition to smoking paraphernalia and marijuana growing equipment, Capitol Hemp also sells hemp clothing, hemp cosmetics and food made from hemp seeds that won't get you high.